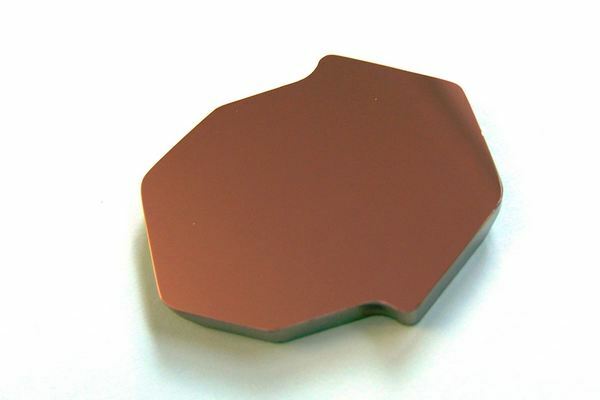 Our gold coated mirrors offer a broad and consistent reflectivity in the infrared spectrum from 800nm to the far infrared beyond 300 microns wavelength. 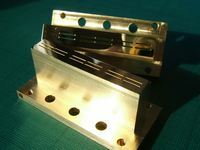 Recent literature reports the reflectivity of our gold coating as 99% for 0.2THz - 3THz frequency. The thickness of our gold mirror coating is more than 5 times the "skin depth" of 1THz radiation. Terahertz imaging and other Terahertz applications. 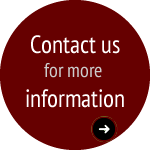 Broad spectrum IR applications such as infrared gas spectroscopy where multi-wavelength infrared sources are used. Intense Pulse Light (IPL) medical equipment. Terahertz imaging and other Terahertz applications use our gold coated mirrors for directing and collecting sub millimetre wavelength radiation. 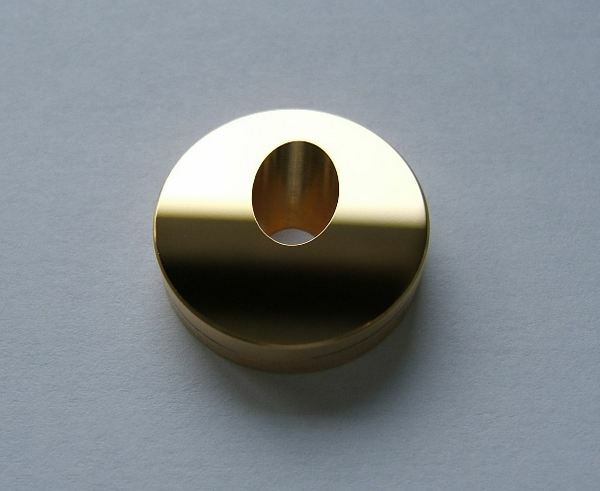 Our gold coated copper mirrors are also used at 100um micron wavelength as optics for Methanol lasers. 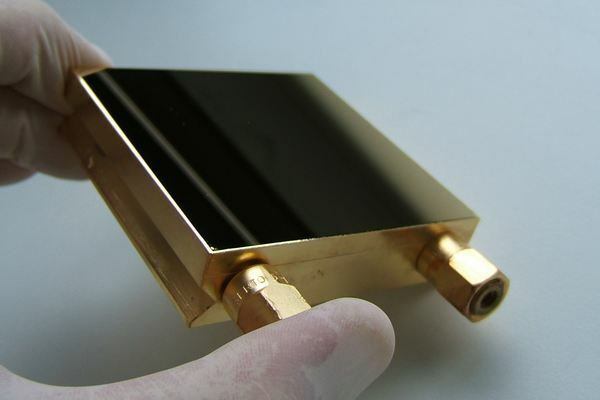 Infrared sources such as Optical Parametric Oscillators, Qunatum Cascade Lasers, and Lead Salt laser diodes are another area of research where our gold coated mirrors can be used for multiple wavelength reflection. The chemical inertness of our gold coating finds uses in environmental monitoring of gases - such as in chimneys and flues - and of liquids where other coating materials would be destroyed. LBP Optics polish stainless steel mirrors for use in the brewing, nuclear, and food industries, applications where stainless steel is one of the few approved materials for use in production equipment. We also make mirrors from stainless steels grades chosen to be used in magnetic mounts.